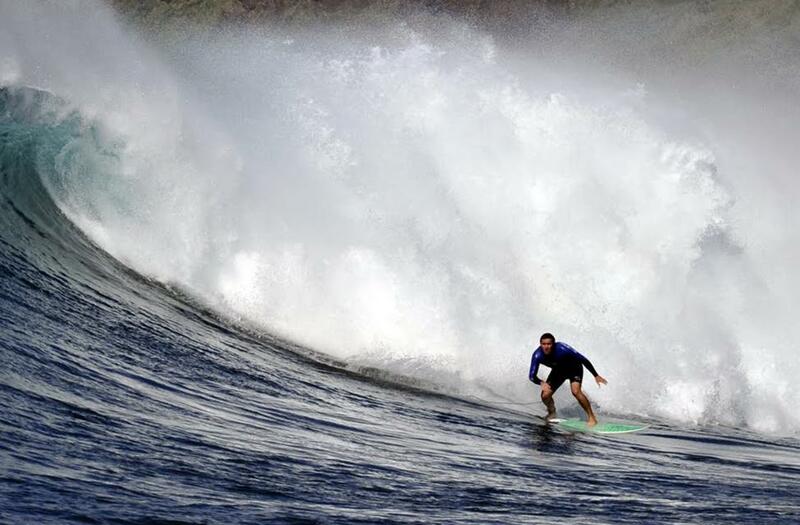 For surf lovers, who like to catch big waves, Madeira is a destination to keep in mind, with some amazing spots. This is what international surfers say, who even go so far as calling it the “Hawaii of the Atlantic”. With a Subtropical climate and water with temperatures that go from 15º to 21º, it is possible to surf at anytime of the year with all the comfort you desire, but naturally, the surfing season happens from October to May. The landscapes views on the elected spots are breathtaking. No one is indifferent to the surroundings that set the scenario to this thrilling sport. International surfers who have surfed on these locations have considered some of Madeira’s spots to be some of the best, because of the perfect waves that are created there, for being “point breaks”. Jardim do Mar, Ponta Pequena and Paúl do Mar are the perfect trilogy and are located on the western municipality of the Island, (Calheta), alongside the recently found Ponta do Pargo’s wave (you can only get there by boat). Enormous and powerful fast waves and/or tubular waves that may easily reach 8m, invite only the most experienced surfers. In Lugar de Baixo, Ponta do Sol, the waves are fast, and tubular ones are less frequent, but usually accessible to medium level surfers. On the North side of the island, whenever the conditions allow it, the Contreiras, Ribeira da Janela and Achadas da Cruz Spots (Porto Moniz) are very good options for experienced surfers. The Baía dos Juncos in S. Vicente is the most consistent spot in Madeira, and its level of difficulty varies, allowing it to be enjoyed by the ones who are taking their first steps in this sport and also with a peak that may be excellent for the experienced surfers. The Alagoa Beach in Porto da Cruz, with a black sand bedded tiny bay, is the beginners’ place of choice.